May 21, 2014. A long way from Germany, CAC Coach Markus Bensch describes our work this past week on Pemba Island (Zanzibar, Tanzania). When Sophie and I arrived on Sunday morning in Pemba we went straight from the airport on an island tour. The whole vegetation was lush green and everything flowered. It felt a bit like paradise and our accommodation was right next to the ocean which gave us a very nice rest in the afternoon, before we started with the program the next day. On Monday morning we would welcome 41 coaches to our training of which were 32 returners which means they had participated in our training last year. That made us very happy, because it is exactly what we want, coaches that take part all three years in our Hat-Trick Training and change things in their community step by step for better. We were also very impressed by their commitment during the week. 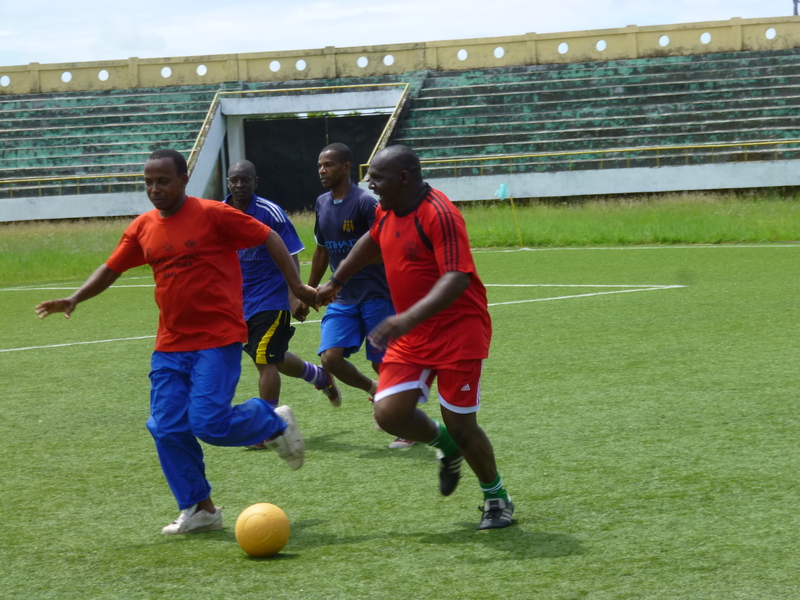 Some of the coaches came earlier to the venue to write up the games we played before the training started, most of the coaches were on time so we could start punctually and the number of participants stayed constant over the week and could work with more than 40 coaches every day. Throughout the week we played games that focused on different topics, i.e. how to resolve conflict without using violence, how to find solutions for problems without asking for the answer and how communication and cooperation can help to overcome challenges, both individually and as a group. We also addressed different social issues like environment pollution, gender inequality, violence against children, HIV/AIDS and early pregnancy. The group did a great job when they adapted our “Adebayor makes good choices” game which is about HIV/AIDS prevention into a game that teaches about prevention of early pregnancies. On Friday we had our coach-back day as usual. 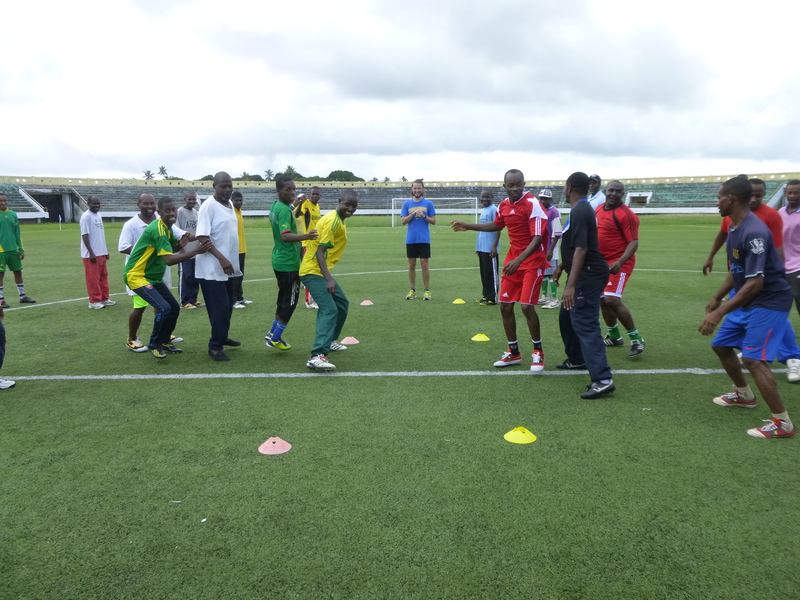 For us coaches it is always a lot of fun because we can act like participants and even take part in the games and leave the stage to participant coaches to practice the games they invented. We saw great coach-backs from nine different groups and it showed us that each of them made a big step during the last year and throughout the week towards the goal of becoming a self-directed learner. We’re very curious to follow up and hear about their progress throughout the year and we are looking forward to come back in 2015 for the final year of our Hat-Trick Curriculum to support the coaches in developing a more open community that respects and supports the rights of children and woman and that addresses existing issues openly to discuss them and find ways to solve them. The two successful weeks on Zanzibar would not be possible without the excellent cooperation with all the implementing partners. 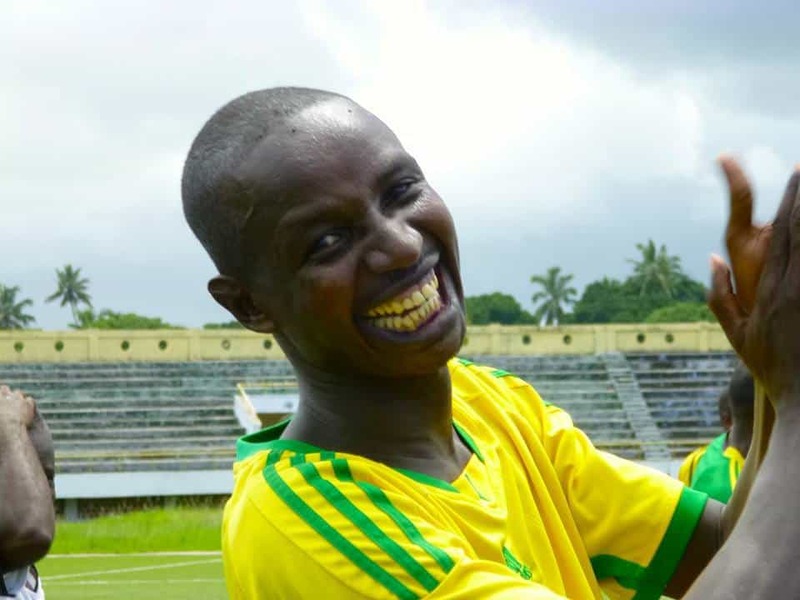 We’re happy to say ‘Thank you!’ to Save the Children, The National Sports Council, The Zanzibar Football Association and The Ministry of Education for two wonderful weeks with more than 100 coaches in total that surely will make a difference in the community and in young people’s live that are in their care. We hope that this partnership last for a very long time and we are happy to come back on Zanzibar next year. We left Pemba on Friday afternoon to land after a wonderful half an hour flight on Unguja again, because we wanted to go swimming with dolphins on Saturday early morning. We left the hotel at 6am and one hour later we sat on a boat to reach out to the dolphins. The beaches and the water are so beautiful that it felt again like paradise. After a while we spotted the first dolphins. After our driver brought us in position we could even jump into the water and marveled them swimming right next to us. It was wonderful to see the elegance with which these creatures ride the waves and swim through the ocean. Compare to them our movements in the water seem like clumsy movements just to save us from drowning. This experience was a great finish of our two weeks on Zanzibar and I already want to submit a request to Brian our Chief Executive Strategist that I want to come back next year.